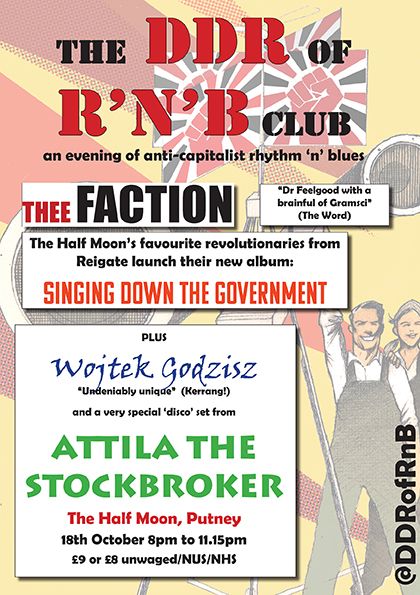 Our next gig is punker than punk – an all-dayer curated by Attila the Stockbroker himself. Look at this for a line-up! 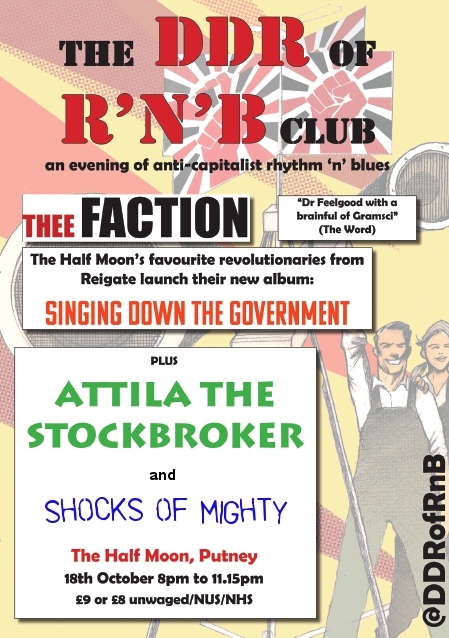 Join us for an afternoon and evening of punk poetry and live music curated, hosted and headlined by Attila the Stockbroker who will also be reading from his new autobiography Arguments Yard. 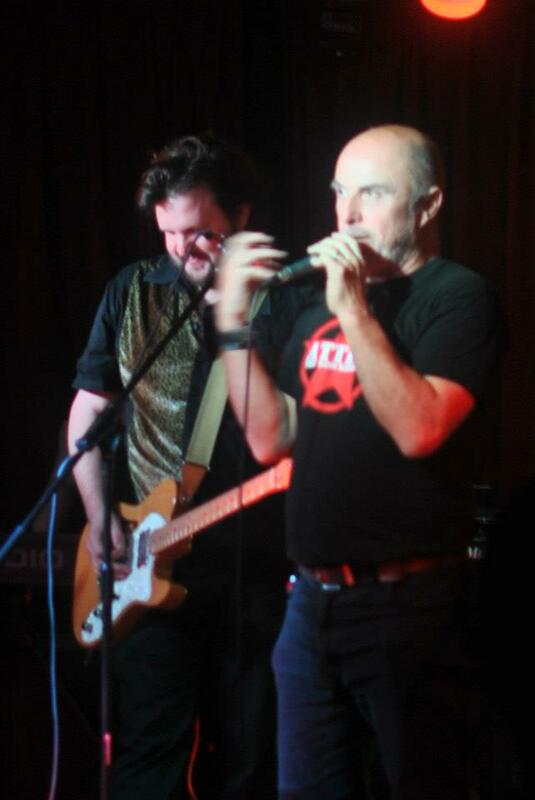 Drop whatever else you might be intending to do tonight, and come to the Half Moon, Putney, for the DDRofRnB. Opening the show will be Shocks of Mighty. 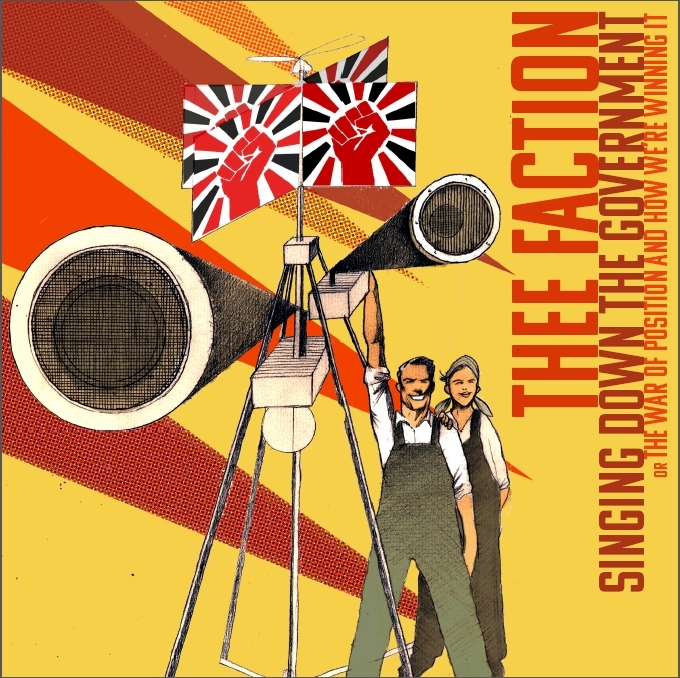 They play blistering punk rock, and are proper solid comrades. Get there early and make sure you see them. 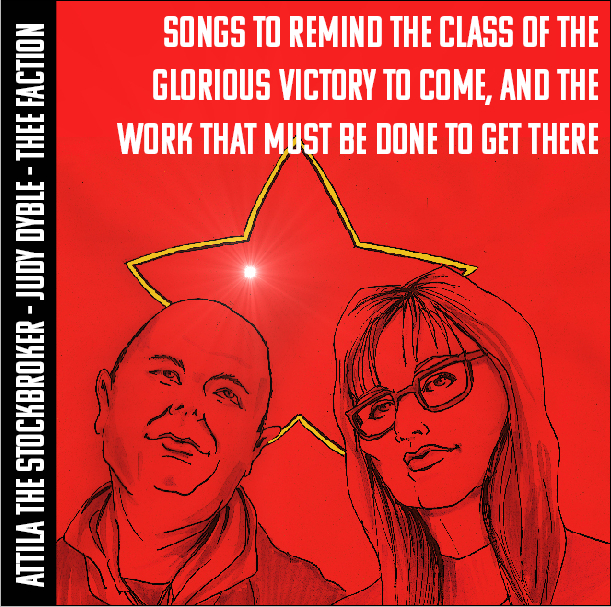 Next up will be Attila the Stockbroker. He’s a legend, and needs no introduction. We can’t believe we have the opportunity to play with him. 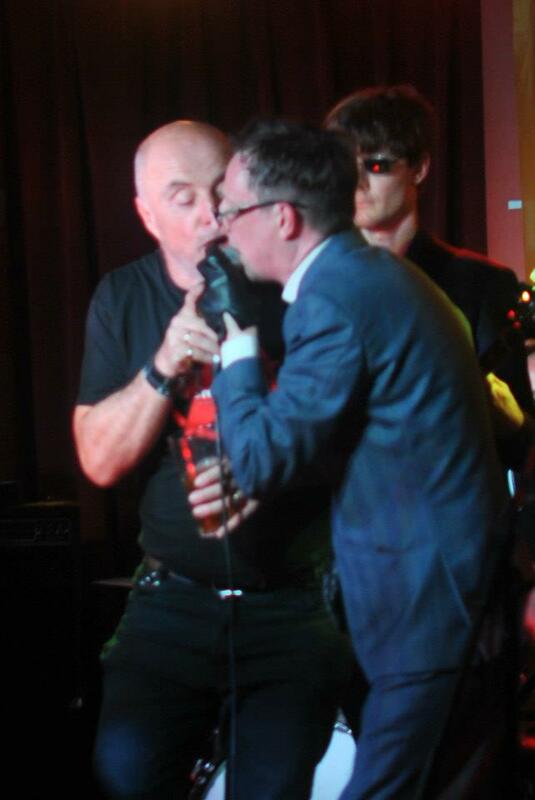 He’s also invited us to play Glastonwick in 2013, and tonight might feel a bit like an audition for that. The best news is that we will be backing him on two songs. So make sure you take photos and video of those moments. We’ll never forgive you if you don’t. Then we’re on. Well, we’re on after Attila cos he needs to get the train back to Sussex, and the comrades in the RMT haven’t managed to lay on a special train. We’re launching the new album. We’re kicking off with a brand new song that’s on the next blimmin’ album. That’s how prolific we are. We’re going to do a Greatest Hits set, with favourites from the first two albums and the ones the radio has been playing from the new one. But, as you know, the point of the DDRofRnB is not who is playing. The point is to change the world. 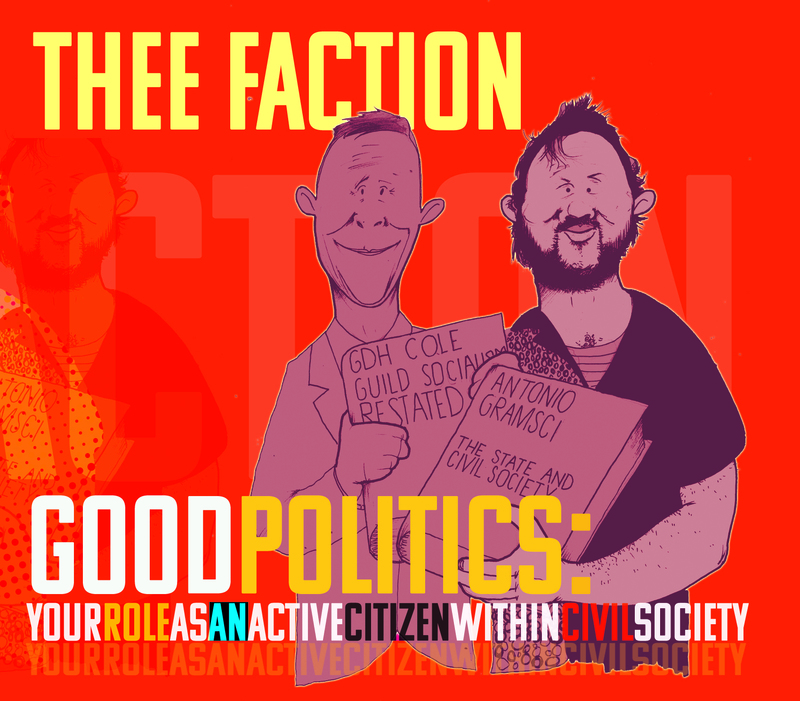 Our club is unique in its comradely atmosphere and political determination, in its larks and laughs and its solidarity and socialism. That’s why people keep coming back. Billy Brentford will be compering. Baby Face will be on polemic. And the bands will be on fire. See you at the Half Moon, comrade. Wear your best clothes. Scruffiness is bourgeois. Liberal individualism at its worst. Dress for the class.